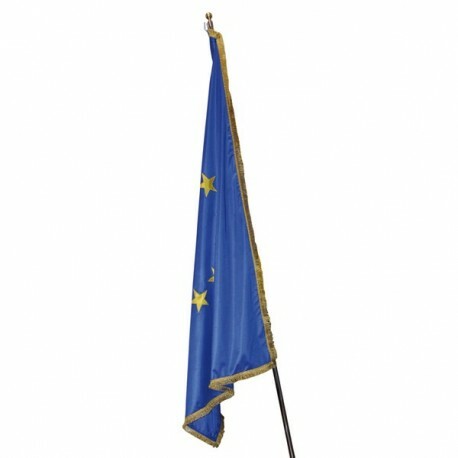 European flag, cm 100x150 of moella bemberg woven, for offices or processions. 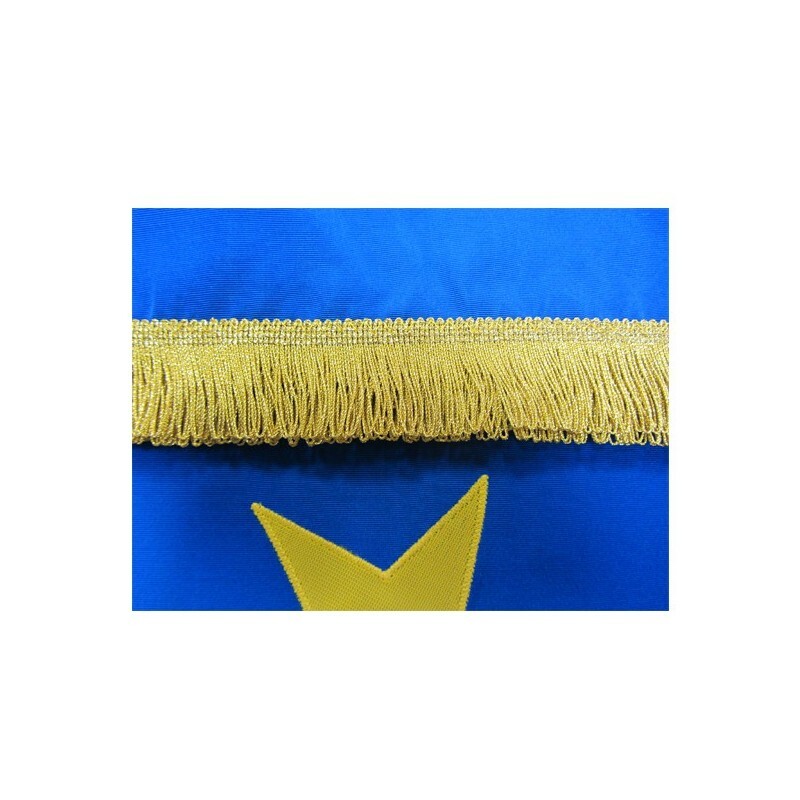 It is packaged with a golden fringe. Inside of the public offices the italian and european flags have the same size and the same woven. They are shown on the beams, near the desk of the office’s owner. The National flag must be placed on the right or in the middle, when there are odd flags. 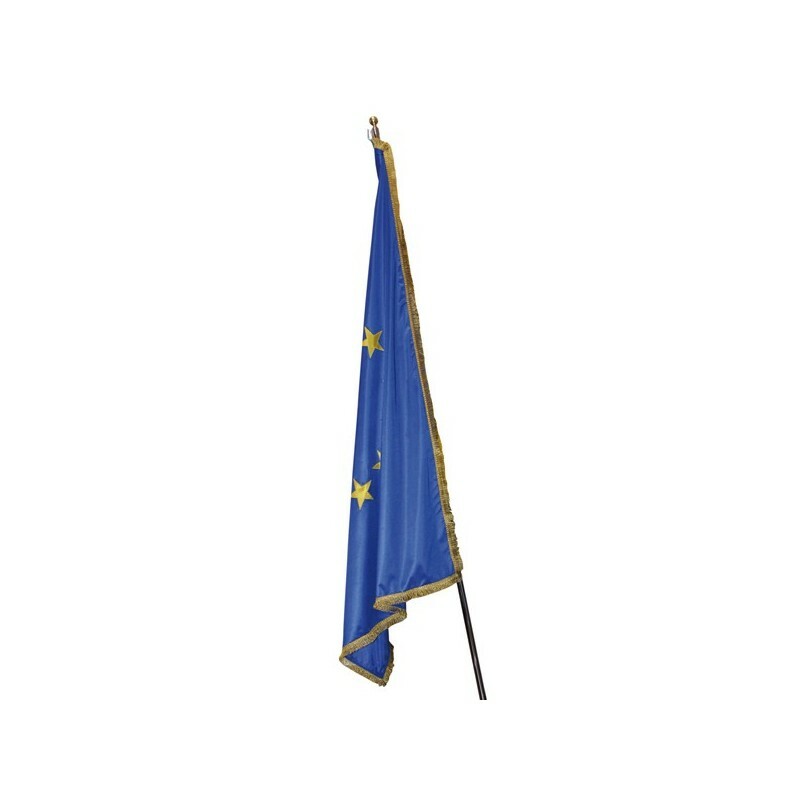 In the congresses, the manifestations and the International meetings or official visits of foreign authorities, we have to exhibit also the flags of their country.